Water Walks are based in Anishinaabe Ceremonial Water Teachings. We walk to honour all Nibi (water) and to speak to the water spirits so that there will be healthy rivers, lakes, and oceans for our ancestors and for the generations to come. 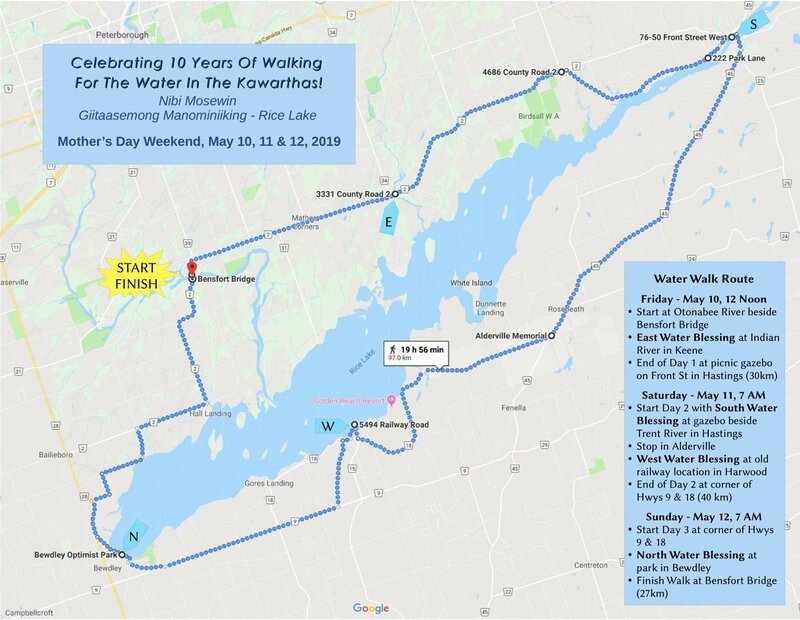 Please read on to learn more about what a Water Walk is and the ceremonial protocols we must follow in order to participate. 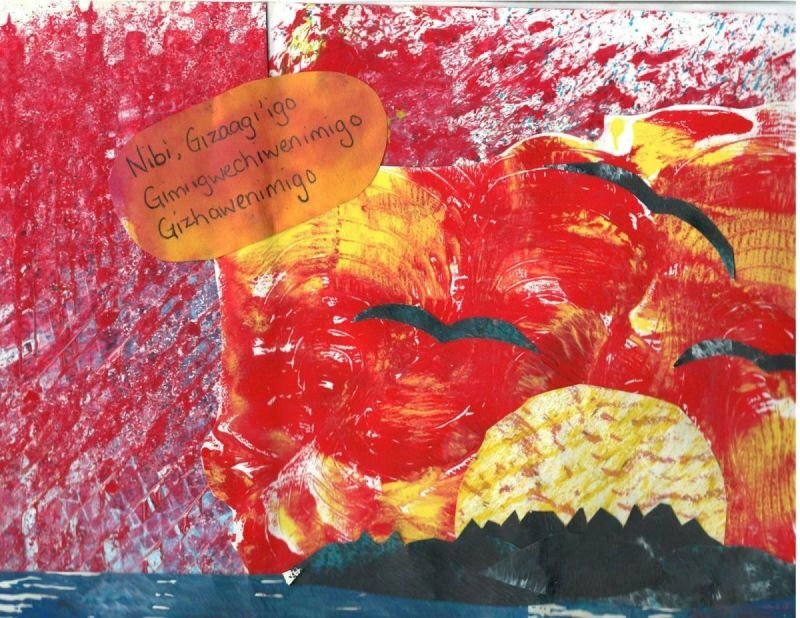 Miigwetch for joining us to honour Nibi and all life! A Water Walk is first and foremost about Water. From the time the copper pail is lifted to the time it is set down, the Walkers are in Ceremony. During a Water Walk, women make offerings for the water, and sing water songs so it can be pure and clean and continuously flow. Women wear long skirts and men wear long pants to show our respect for Mother Earth. Women on their moon-time do not carry water in the copper pail during this time, as they are already in ceremony. Men carry the Eagle Feather Staff to spiritually guide the Water Walkers. On Saturday, May 11th we will be chartering a bus from Trent University to Rice Lake. The bus will leave at 9am and we will join the Walkers around 10am between Hastings and Roseneath. We will walk with the group until about 3pm before returning to Trent University. There will be occasional breaks and the bus will always be nearby for those that cannot walk any longer, however, it will not return to Peterborough until approximately 4pm. To add your name to the list fill out the form on this page! See the map of the walk below to see the course the Walkers will take, and where we will be joining them!